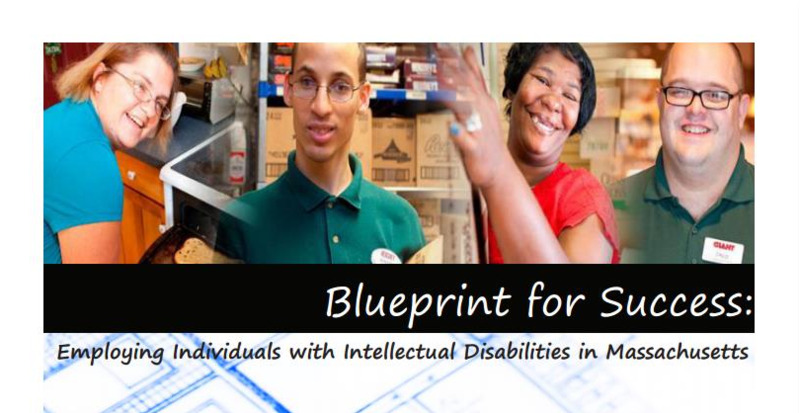 This blueprint outlines the steps that will be taken in MA to increase integrated employment opportunities for individuals with intellectual disabilities. The Department has been engaged in system change activities and has implemented a number of important initiatives over the past several years to transform day and employment services to support increased opportunities for individuals to work in the community. In part, DDS has initiated these early activities because individuals supported by the Department have given a loud and clear message about their belief that individuals with ID can and should work in the community. - Informing providers of Center-Based Work Services of the Department‟s commitment to develop alternatives to “sheltered workshop” services via a qualifying procurement for day and employment programs to begin in fiscal year 2010. This procurement specifically states, “over the next three to five years, providers should make concerted efforts to assist individuals to enter into supported employment (individual or group), and/or re-structure their services to create alternative business/employment program options.” In a 2011 directive to executive directors of sheltered work programs, DDS Commissioner Howe has reinforced this commitment stating the Department‟s intent to increase the numbers of individuals who work in integrated employment, and within the next five years to discontinue purchasing sheltered workshop services. Providers have been required to submit their plans on how they would increase integrated employment and phase out sheltered workshop services within this five-year period. - Issuing an Employment First Policy in 2010 has established integrated, individual employment as a preferred service option and optimal outcome for working age adults with ID. This policy raises expectations and expands opportunities by prioritizing assistance and supports for integrated employment in the development of service plans and delivery. This policy is in alignment with Governor Patrick‟s commitment to expand work opportunities for individuals with disabilities through his administration‟s Community First policies and Massachusetts as a Model Employer initiative. - Establishing and implementing on July 1, 2013 new standard rates for employment services. As a result, the new rates have incentivized integrated employment services and outcomes. individuals obtain jobs that pay minimum wage or higher. An important catalyst for these changes has been the expressed preference of self-advocates and their families for competitive jobs with the same opportunity to earn fair wages and benefits as other employees. In particular, young adults transitioning from school and their families and/or guardians are seeking more inclusive employment opportunities and day program choices.